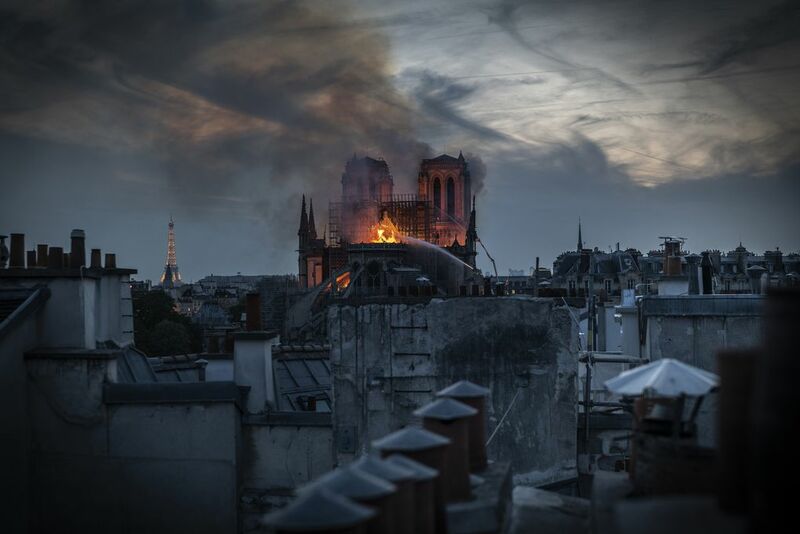 Smoke billows from Notre Dame Cathedral after a fire broke out, in Paris. Smokes ascends as flames rise during a fire at the landmark Notre-Dame Cathedral in central Paris. 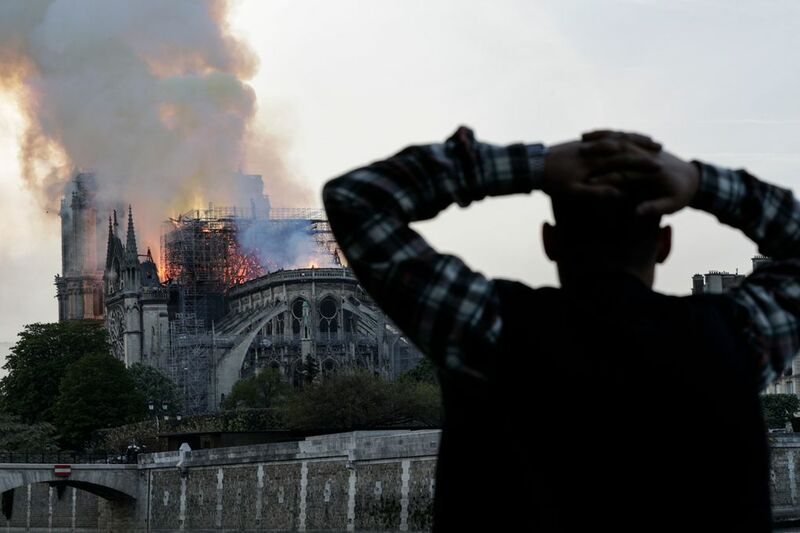 A man watches the landmark Notre-Dame Cathedral burn, engulfed in flames, in central Paris . 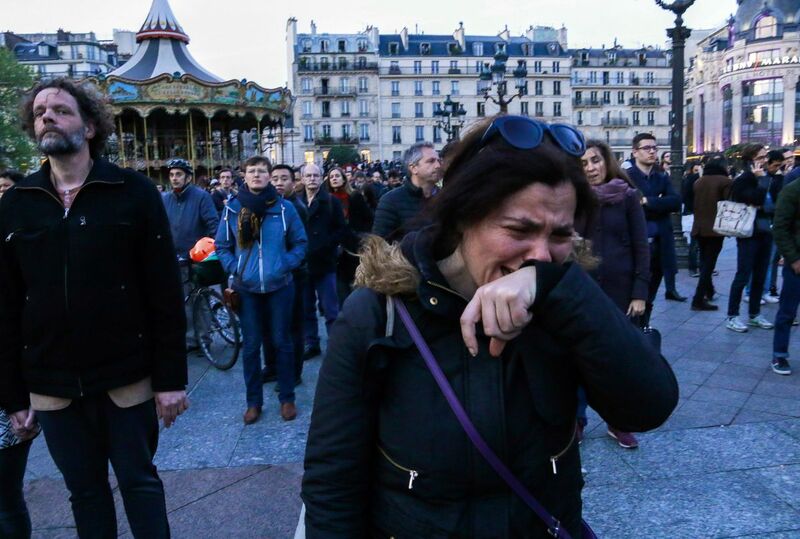 A woman cries as people look at Notre-Dame de Paris Cathedral engulfed in flames. 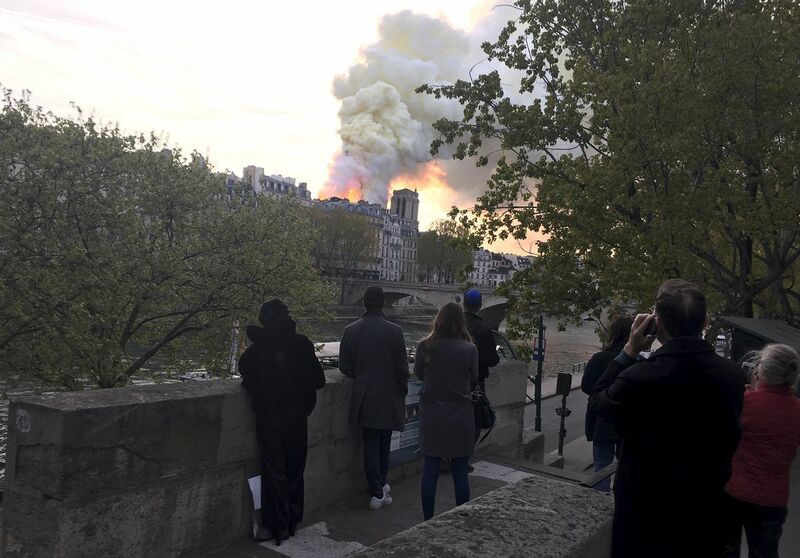 People watch as smoke billows from Notre Dame Cathedral after a fire broke out, in Paris. 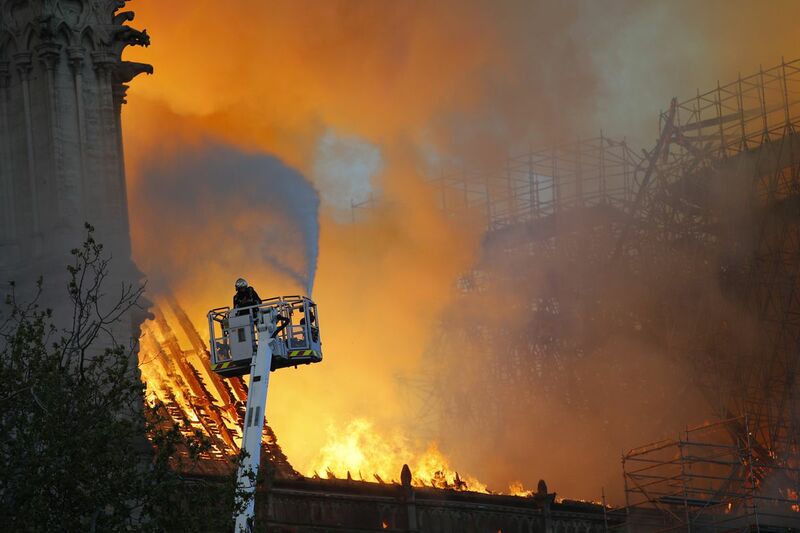 A fire fighter works to contain flames at Notre-Dame cathedral. 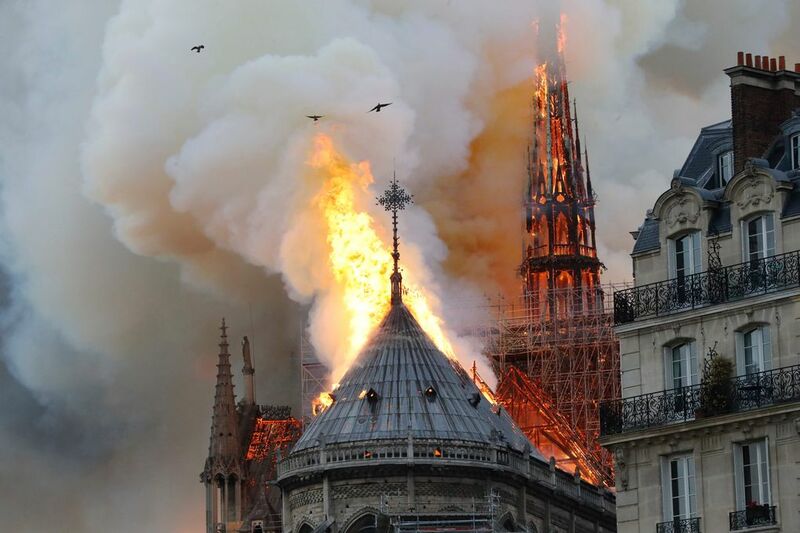 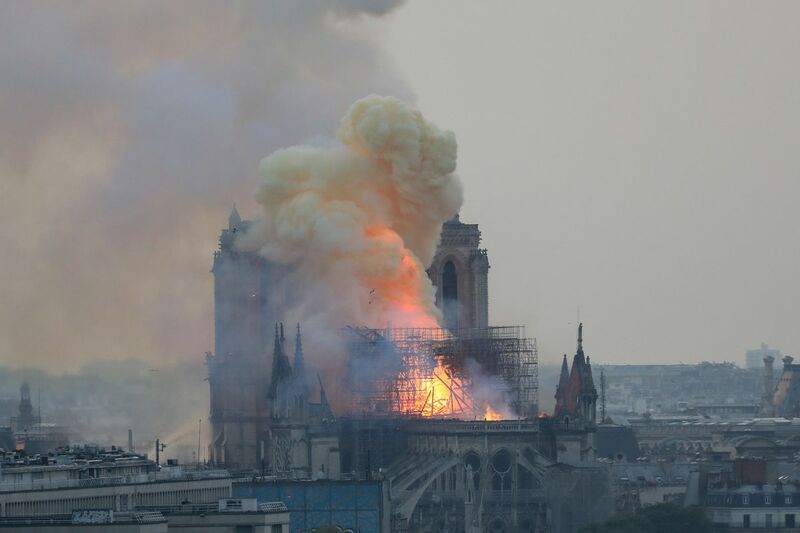 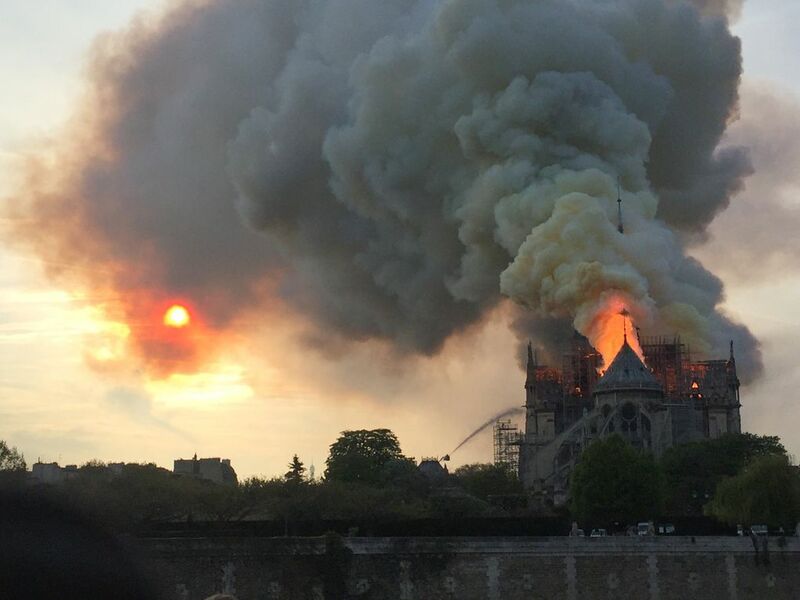 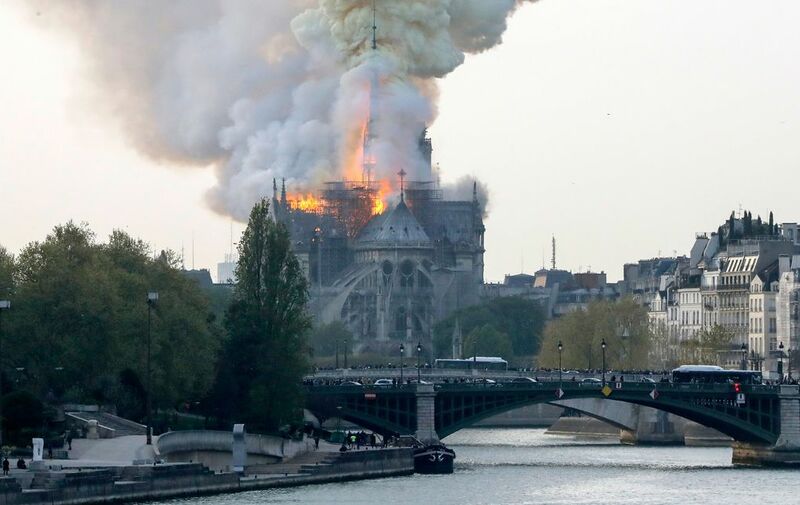 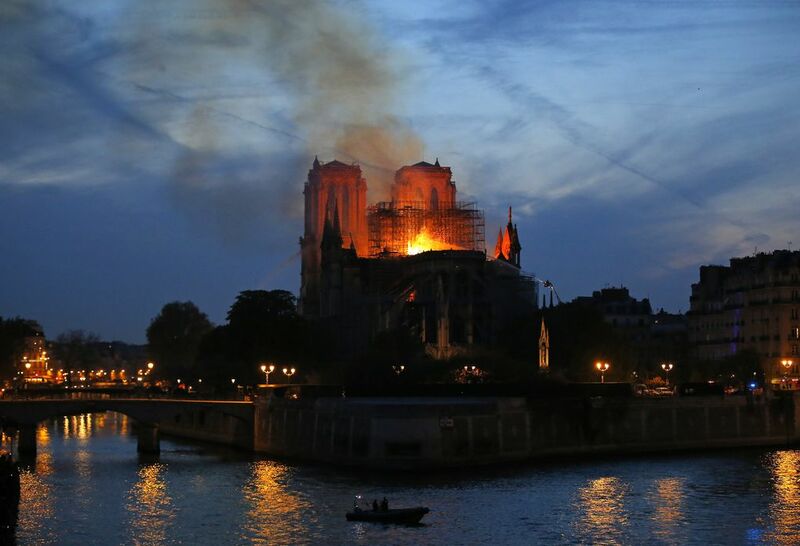 The steeple collapses as smoke and flames engulf the Notre-Dame Cathedral in Paris. 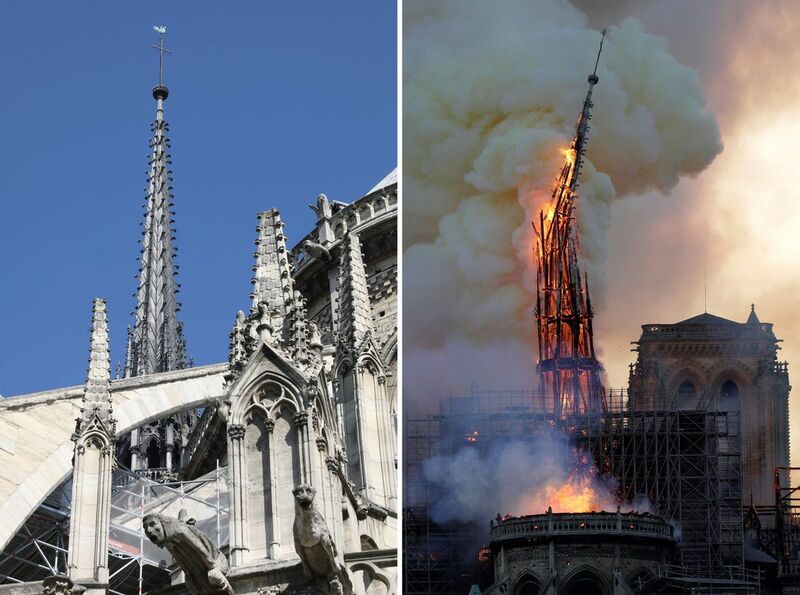 This combination of file photographs shows the steeple Notre-Dame de Paris Cathedral on June 26, 2018, and on April 15, 2019. 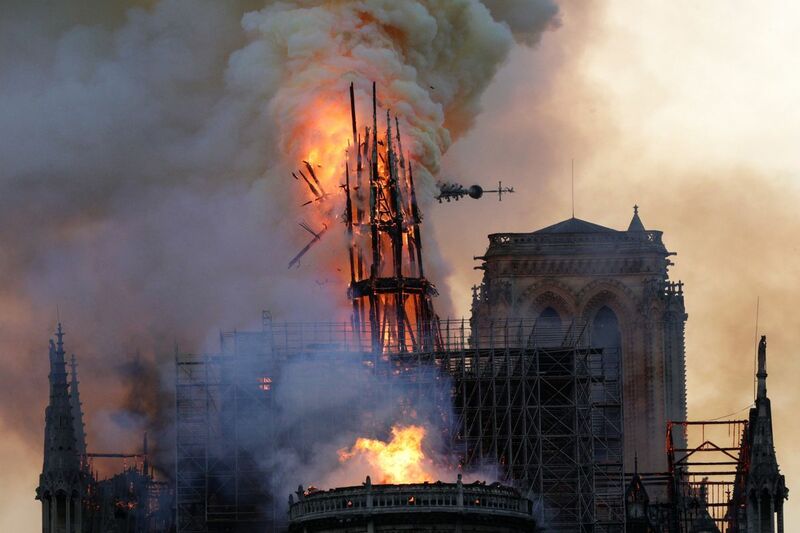 Smoke rises around the altar in front of the cross inside the Notre Dame Cathedral as a fire continues to burn in Paris, France, April 16, 2019. 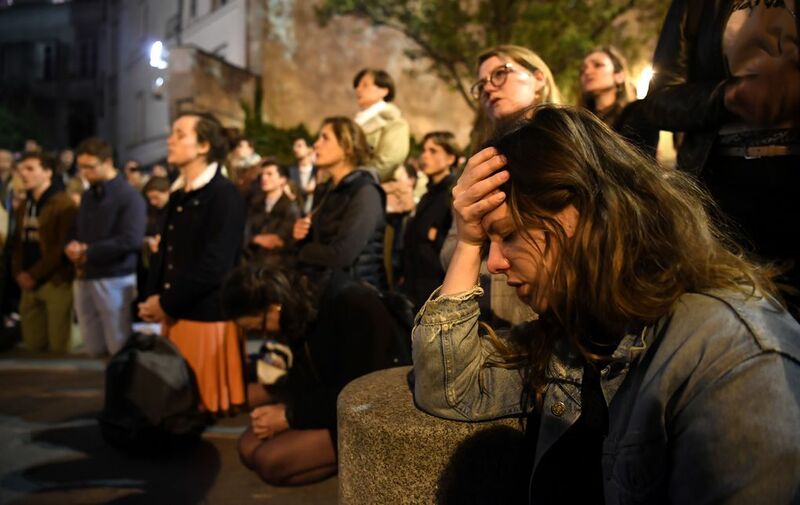 People kneel on the pavement as they pray outside watching flames engulf Notre-Dame Cathedral in Paris.